What is the Status of the Trail & how can I get involved? As of 2019, the trail is in the land use permitting phase for the first 6 miles, from Joseph to Enterprise. Concept Plan by Eastern Oregon University and Oregon State Parks, 2013-2015. Included multiple public input sessions in both Wallowa and Union Counties. A public survey showing support for the trail was also conducted as part of the Plan. To learn more and become involved in the effort to build the trail, send the Joseph Branch Trail Consortium a note below. You can also Contact Us to reach out and ask questions. We are happy to discuss this project with anyone. It is the JBTC’s goal to help this project work for everyone, with the thoughtful and researched planning to date that has gone into this project for our community. Have a question we should add to this page? how is it that Yamhill county approved a permit for a trail and the wallowa county planning commission denied this same permit? What were the grounds for approval for the yamhill county trail? Both the Yamhelas-Westsider Trail and the Joseph Branch Trail travel through Exclusive Farm Use (EFU) zoning. The Yamhill County Commissioners, on a remand from the Oregon Land Use Board Authority (LUBA), approved 2-1 to construct 3 miles of the Yamhelas-Westsider Trail. Their reasoning is included in their Board Order 19-094 and parts are highlighted below. The Wallowa County Planning Commission denied the Joseph Branch Trail conditional use permit based on speculation. The Yamhill County decision shows a clear path for approval of this recreation trail on public land alongside private property, just like our county roads. Will the tracks be removed for this project? And is the Wallowa Union Railroad Authority in support of this project? No tracks will be removed. The trail will be placed alongside the tracks. Railway operations will proceed as normal, including the Joseph Branch Railriders. And the Wallowa Union Railroad Authority (WURA), the landowner, is supporting the project. They see the trail as a bonus to the maintenance of the railroad, primarily to help with weed maintenance, access to the tracks for repairs, and bridge improvements. how wide will the trail be and who will be the users on it? The trail will be 10 feet wide with a compacted gravel base. The trail will accommodate multiple users, including pedestrians, bicyclists, and horseback riders. In the winter, cross-country skiers, snow-shoers, and fat bikers will be out on the trail. JBTC has been studying best practices for multi-use pathways. This trail will have long sight distances with long straight aways along with “rules of the trail” signage that will help alleviate user conflict. And the JBTC will be ready to adapt management strategies should user conflicts arise. To see more about multi-use trail design with equestrians, visit this US Forest Service Trail Design Guide. Equestrians will be asked to remove manure from the trail and JBTC will be monitoring the trail with a utility vehicle and collecting manure on litter patrols on an as needed basis (for example, 2x a week during the summer and less frequently during lower use times). Trash receptacles will be placed at intervals along the trail, as well as doggie poop bags. These will also be checked on the JBTC Litter Patrol Route. Read more about management strategies below and here at the Joseph Branch Trail Management, Maintenance, and Signage Plan (in 3rd Draft Form). will the trail cross any private land besides WURA’s or will it be developed entirely in the railroad corridor? The trail will be developed 100% on WURA’s land, next to the railroad tracks within the 100’ railroad right of way. Who is wura and is this land available now for the public to access? WURA (the Wallowa Union Railroad Authority) owns the 63 mile long railroad corridor, which is 100’ wide, from Joseph to Elgin, Oregon. WURA is an ORS-190.083 intergovernmental entity formed between Wallowa and Union Counties to co-own a transportation facility (the Wallowa Union Railroad). While the land is publicly owned, it is not open for public access, just like an airforce base or county shop. Will Camping be allowed along the trail? Absolutely not. This corridor is a transportation corridor and railroad right of way. Camping is illegal in the right of way, as outlined in our Management, Maintenance, and Signage Plan. will this trail be funded by local tax dollars? No, local tax payer dollars will not be used in the construction and maintenance of this trail. Currently, $766 million in state and federal tax dollars and lottery funds have been allocated for trail development. Funds are also available from private foundations recognizing the importance of trails like this to the health of communities. And these tax dollars are going to other parts of the state- let’s bring these dollars here and put them to work for Wallowa County. Maintenance will be carried out by the Joseph Branch Trail Consortium (Board and Members), a Wallowa & Union County based non-profit, and community volunteers. Is this trail for our community or for visitors? This trail will be open to all active folks, just like our county roads, sidewalks, and trails in the mountains. Around the US, these trails are primarily used by members of the communities they run through, providing a place for everyday exercise (see more benefits below). Research on the over 23,000 miles of these kinds of trails in the US show that 90% of the trail users are locals. Sure, when this trail runs 63 miles to Elgin, folks will come from out of the county to ride and hike on this trail (especially in the canyon segment along the Wallowa River). But this pilot, the first 6 miles from Enterprise to Joseph, will not be “big news” and will be a perfect pilot segment for our community. what is a rail with trail? Are there others in the United states & are they safe? A Rail with Trail is a trail placed within the railroad right of way, alongside the railroad tracks. It’s a win-win situation for all. The tracks are preserved for future rail use while allowing non-motorized access to the railroad right of way. There are approximately 1,397 miles of Rails with Trails in the United States (as of 2013) and HERE IS A LIST of them. Safety is maintained with Rails with Trails through design and maintenance. In Wallowa County, the train cannot currently make it up into the valley due to the conditions of parts of the track. If the train does make it into the valley, the speed of the train will be slow (about 5-15mph), so trail users will not be impacted by a speeding train. The Railriders will continue using the tracks between Joseph and Enterprise. A Rail to Trail is when the tracks are removed and the trail is placed on the track bed. There are approximately 23,615 miles of Rails to and Rails with Trails in the United States. Who is spearheading this project? Is it a group from within our community or an outside entity? 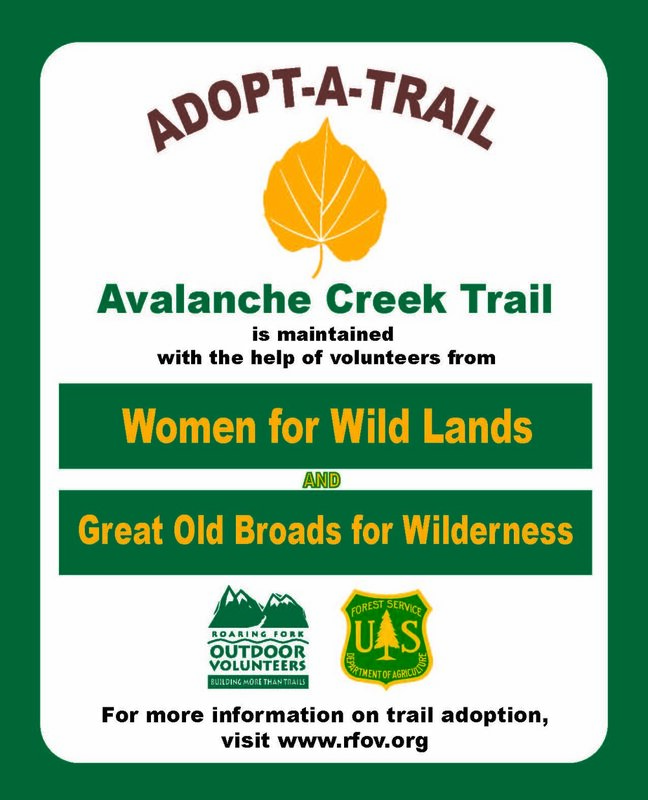 This trail is a grassroots movement within Wallowa & Union Counties. 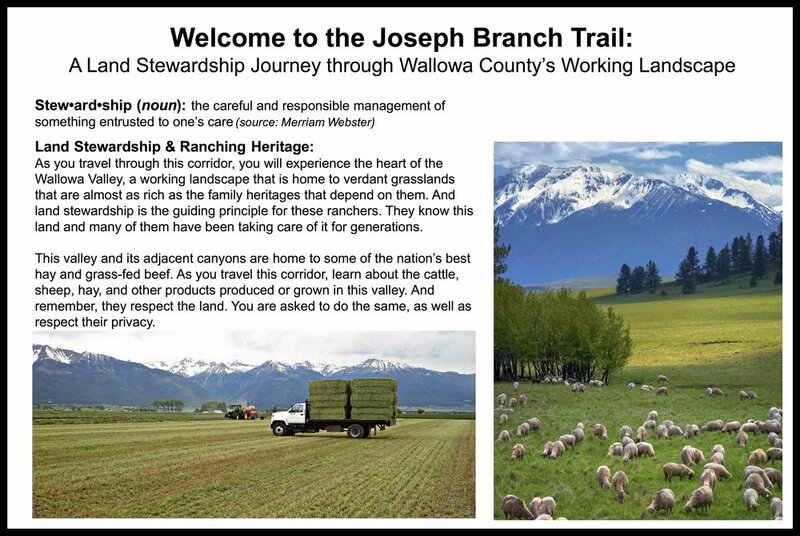 The Joseph Branch Trail Consortium (JBTC), a 501c3 non-profit based in Wallowa & Union Counties, is working closely with the Wallowa Union Railroad Authority (WURA) to develop, build, and maintain this trail for our COMMUNITY. Local residents on the JBTC Board include: professionals in the medical field, outfitters, former Joseph City Mayor, a retired professor, ranchers, business owners, non-profit professionals, and an adjacent landowner along the railroad. This trail will be developed by our community for our community. Without a Parks & Recreation District/Department in Wallowa County, recreation projects like this come from the private sector. Visit our Polling Data to learn about the general community support for the project in Wallowa and Union Counties. Who is involved in the planning of this project? 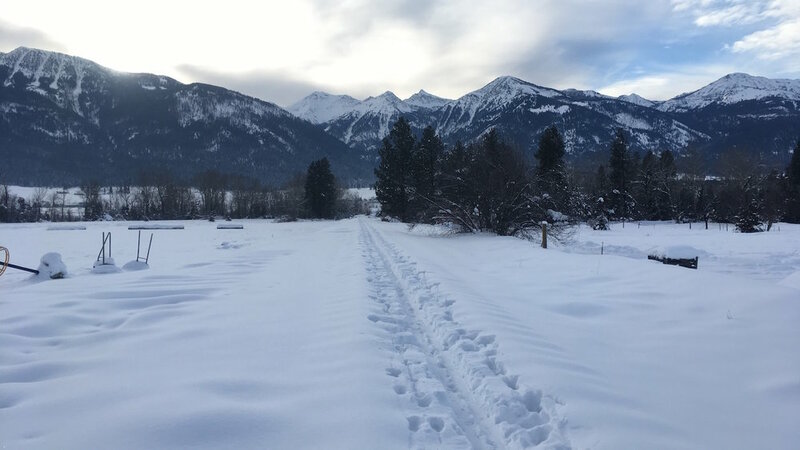 The Joseph Branch Trail Consortium (JBTC) in partnership with the Wallowa Union Railroad Authority (WURA) is leading the planning and development of the trail. The Concept Study for the trail was produced by Eastern Oregon University (EOU) and Oregon State Parks (OSP), with aid from WURA and JBTC. For the Concept Study, EOU and OSP conducted a public survey and held initial public collaborative planning meetings to better understand the desires and concerns of the community. In 2015 and 2016, the JBTC hosted public meetings for the purposes of informing the public and taking public input. Anderson Perry, an engineering firm in La Grande, OR, has designed the Pre-Engineering Study with the JBTC. Anderson Perry has also prepared the Cultural Resources Inventory and Wetlands Delineation Study. What is the zoning of the right of way? The railroad right of way, 100’ wide, is zoned according to the zoning of the properties it passes along. So, from the center of the tracks to the left, for example, if the adjacent property is zoned industrial, that 50’ portion of the tracks is zoned industrial. The right of way passes through many zones as it travels through the county. From Joseph to Enterprise, the zones range from EFU (Exclusive Farm Use), Industrial to Rural Residential. Traditionally, railroad right of ways in Oregon are zoned as Transportation Corridors, as that is what they are. However, in Wallowa County, this is not the case. In Union County, the railroad right of way is zoned as a Transportation Corridor. The trail is still a conditional use in a Transportation Corridor, but it’s criteria it needs to meet are much less diverse. What is a conditional use permit and why does the trail need this permit? In ‘Planning Speak’, there are outright, or allowed uses on land and then there are conditional uses. Conditional uses are uses that can be approved, but may have conditions placed on them. For example, to protect people’s privacy along the trail, a vegetation barrier or fence could be a condition required to protect their privacy. The trail is a conditional use in the zones it travels through. Therefore, JBTC needs to obtain this permit to develop the trail. The most frequent zone the railroad right of way passes along is EFU. View the Conditional Use Permit Application: Part 1 & Part 2. Why Place a Multi-use Trail next to the Railroad Tracks? The idea for a trail spawned from the informal use already occurring in the corridor (which is illegal activity). This illegal informal use has provided a sort of testing ground and it has not resulted in any known issues with privacy or litter. In fact, from interviews with adjacent landowners, the planners have learned areas and issues that need to be addressed by a managed trail (like dogs). The railroad corridor follows the Wallowa River as it meanders through our valley, connecting the towns of Joseph, Enterprise, Lostine, and Wallowa. Currently, the tracks in the Wallowa Valley are not able to support a train as some bridges need repair. Funds for these repairs are not available, but the trail development plan ideally provides funds for bridge improvement for pedestrians and the train. Wallowa County is in need of providing safe alternatives for cyclists to commute between Enterprise and Joseph, and beyond to Elgin one day. Oregon Department of Transportation is very interested in this project as they seek to get more cyclists off of Highway 82. In this era of distracted drivers with cell phones and increased RV/general visitor traffic to the county each summer (over 800,000 visitors in 2017 alone (Source: Wallowa County Chamber of Commerce)), it is our community's responsibility to seek out existing infrastructure to provide safe alternative pathways for walking, biking, and horseback riding between our towns. What will be different about this trail since we already have so many in the mountains? This trail will be the first of its kind in our valley. It will be close to and central to our communities, linking Joseph & Enterprise initially. The trail will be wide, gradually sloped, and flat, allowing access for a range of ages and abilities: families, elderly, cyclists, runners (say on lunch break from work), parents with strollers, wheelchair users, and bike commuters. It will also provide a nature experience (no cars) close to our towns. Research shows that nature trails closer to "urban" centers are used more frequently by locals than trails where longer travel to trailheads is required. What benefits will a trail like this bring to our community? Walking/jogging trails are one of the top 3 considerations for all age brackets, especially families, looking to relocate (The National Association of Homebuilders (2016)). There will be more benefits we're sure that will be realized once the trail is constructed. Is hunting currently allowed in or across the Railroad right of way? Hunt or shoot from or across a public Rd, Rd right-of-way or railroad right-of-way, except persons legally hunting on Rds closed to use of motor vehicles by the public. Will this trail benefit the county with its short and long term community planning? Goal 8: Recreation Needs: To satisfy the recreational needs of visitors and of citizens of the County, and State, to promote recreation as an industry, and to improve or mitigate watershed conditions through well planned development in Wallowa County. General Finding 11: It is vital to County recreation and tourism industries that access to recreation and tourism areas be maintained. Access includes not only roads, but trails, cat roads, access easements, and other means of access. Goal 4: Increase the use of alternative modes of transportation (walking, bicycling, and public transportation) through improved access, safety, and service is of particular interest to us. Goal 6: Although the County is no longer served by a branch railroad line, the County recognizes the railroad line and its right of way as an asset to be put to the highest and best use for the entire County. How wide is the railroad corridor? is it fenced? The corridor is 100 feet wide and is fenced on both sides. The fence will remain when the trail is constructed. The current fence will be replaced by JBTC with woven wire fencing where dogs on the trail and livestock need to be separated. Who will be the trail users? Non-motorized trail traffic, just like the people we see using our county roads already: hikers, bikers, and horseback riders. There is informal trail use already happening in the railroad right of way. Once the trail is built, the majority of users will be from Wallowa County and folks of all ages and abilities. This project will help make the non-motorized, multi-use access legal for Wallowa Union Railroad Authority (WURA) in the right of way. And the project will open up the trail to participants representing a spectrum of ages and physical abilities. Research shows that trails closer to "urban" centers are used more frequently by locals than trails where longer travel to trailheads is required. And recreational trail users on the many miles of trails like these all over the United States have shown time and again to be good citizens, interested in nature and physical health. Good people and good, proven trail design push out unwanted activity. Will there be an increase in trespass, littering, vandalism, and other illegal activities? Good trail design and public activity on the trail will push out bad intentions. Bad things generally occur where people do not frequent. The JBTC has no reason to conclude that trespassing by persons walking, riding bikes or horses along a trail in the corridor will be more frequent or consequential than potential trespass by persons using public roads already established throughout the county. The vast majority of trails in the United States have experienced a decrease in unwanted activities such as those listed above (see Rails-Trail and Safe Communities). The reason is that people tend to perform illegal activities in places where there are no reputable citizens frequenting the area. On trail after trail, people have seen the rail corridor transformed from a place that is unkempt and containing litter to one that becomes an amenity for the area that showcases its natural beauty and heritage. Fencing and/or visual screening will be used where trespassing onto private property is of a particular concern. The trail will be managed by the Joseph Branch Trail Consortium and be subject to the rules and regulations approved by the Wallowa Union Railroad Authority. For an extensive study of rail-trails in the United States, visit Rails-Trail and Safe Communities. Are there concerns from adjacent landowners about the trail and how will they be addressed? The JBTC has gathered adjacent landowner concerns through multiple public meetings and private interviews (including site visits). These concerns have been heard and mitigation strategies discussed in the Draft Management Plan. Adjacent landowners have been asked for feedback on the management plan and responses were integrated into the plan, now in 3rd draft form. Relations with adjacent landowners are ongoing. The corridor is currently open to users, but is unmanaged use. During volunteer cleanup days in 2017 & 2018 in the Joseph to Enterprise corridor, the primary litter was broken glass from beer bottles. More users on the trail and management of hours will help reduce delinquent activity in the corridor and provide more protection for many of the adjacent landowner concerns than the current situation. This trail will be the same as users walking on our roads or sidewalks. There will be a 30 foot easement from the trail to the fence next to adjacent lands. In fact, this trail will parallel county roads in many places, but provides a safe distance from cars on these roads. 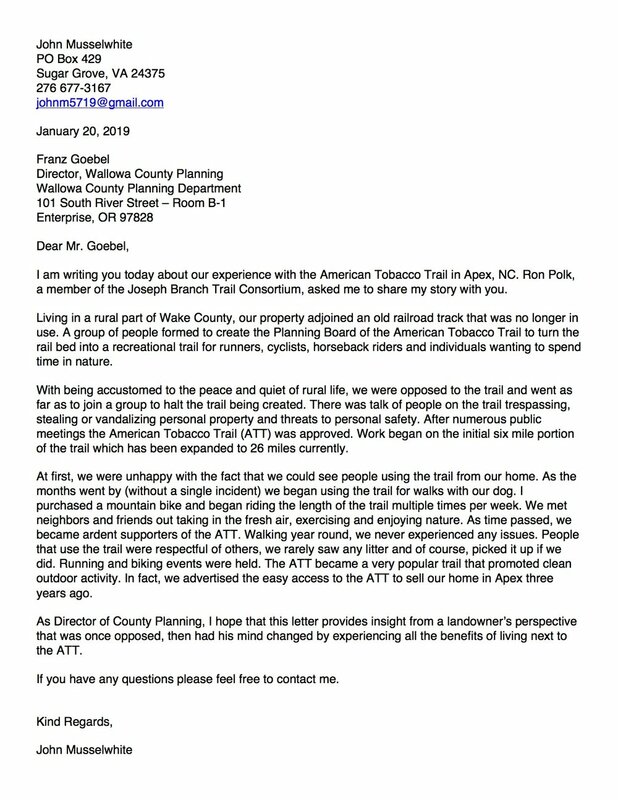 Concerns like trespass, littering, weeds, and dogs are traditionally raised all over the United States when community trails are proposed. These valid concerns time and again are proven to not come true to the extent initially thought by adjacent landowners. On the contrary, many adjacent landowners have become strong advocates for the trails once they are constructed (Source: Corning S., Mowatt R., and Chancellor C. (2012). Multiuse Trails: Benefits and Concerns of Residents and Property Owners. Journal of Urban Planning and Development. No. 138: 277-285). While the trail will be on WURA’s land, it will not cross other private land. The trail will be solely on WURA’s property with a border fence. In addition, adjacent landowners have a variety of Oregon laws in place to protect them, from the Right to Farm Law, trespassing laws, and Oregon’s Recreational Use Statute. For a synthesis of legal concerns, visit the Headwater Economics study of Legal Issues Associated with Trails. Will the police respond to calls on it? Yes, the Wallowa County Sheriff’s Department will respond to calls on this trail just like anywhere else in Wallowa County. And much of the trail is visible from county roads. What are some of the Trail Design Ideas that will help adjacent landowners with some of their concerns? Fencing: The 100 foot wide railroad corridor is already fenced on both sides. Where sensitive livestock issues exist, a woven wire fence will be placed to keep dogs separate from livestock. Dogs: Dogs will be leashed (leash rule on trail). Trail users will be notified of this rule by signs at each access point. Woven wire fencing will be placed by the JBTC in areas where sensitive livestock issues exist. Trail users will also be notified that landowners have the right to shoot at dogs found trespassing and bothering livestock. Dog owners will also be asked to pick up dog feces. Doggie bag dispensers will be placed at each access point, as well as trash cans. Littering: Recreational trail users have been shown to generally be good citizens, packing out their litter. Trash cans will be placed at access points and along the trail, too. For those leaving litter behind, the Joseph Branch Trail Consortium (JBTC) will have a routine cleanup route on the trail. Additionally, local groups will be encourages to adopt trail segments and help with annual cleanup efforts. Loss of Privacy: Some adjacent landowners were not bargaining for a trail near their property when they purchased it. The JBTC understands this change and will place vegetation barriers (fast growing bushes) and privacy fences where needed. And since 2014, there have been over 23,000 railriders in the corridor between Joseph and Enterprise daily for 7 months of the year without a complaint or incident. While this change is something to get used to for some, studies have shown that many adjacent landowners tend to see the trail as a benefit (health-wise, socially, and property value) once it is constructed (Source: Corning S., Mowatt R., and Chancellor C. (2012). Multiuse Trails: Benefits and Concerns of Residents and Property Owners. Journal of Urban Planning and Development. No. 138: 277-285). And trail recreation users have been shown to generally be respectful citizens and respect privacy of adjacent landowners. Additionally, benches and "social gathering areas" like trailheads will be located away from property owners concerned about privacy. Weeds: Weeds are a concern already in the corridor and WURA currently contracts with the Wallowa County Weed Control Department to help control the weeds. The Joseph Branch Railriders also help with weed control. JBTC has been and will continue to organize volunteer clean up days where weeds are pulled and removed from the corridor. Timing of these clean ups will happen before key weed species are blooming to maximize impact of removal. Additionally, there will be Adopt-A-Trail segments where local businesses, organizations, and schools will be organized by JBTC to help control weeds and litter along the trail. Additionally, education interpretive signs will be placed along to trail to educate trail users unfamiliar with weeds and their impact on native plants, ranching, and livestock..
What benefit will the neighbors have from this trail? “Policing” of the right of way. The current, informal use of the right of way has resulted in ‘dogs chasing livestock’ stories from adjacent landowners. The trail construction will include replacement of fencing (at JBTC’s expense) to woven-wire fencing where dog-livestock interactions have been proven to occur. Litter patrol. Currently there is no littler patrol, except for JBTC’s volunteer clean up days in 2017 & 18. The current informal use has not resulted in much litter (as JBTC has found during these right of way cleanup days). Trash cans, dog waste bags, & bathrooms will be placed intermittently along the trail. Bathrooms will be located at the trailheads and during higher use times in the summer, porta-potties will strategically placed at other spots along the trail. Litter patrol will happen weekly during the summer and monthly during the lower volume use of the trail. Overall Better Management of the right of way. do neighbors of other rail trails ever see benefit in having them nearby? Where will the Trailheads be located between Joseph and Enterprise? In Enterprise, the trailhead will be located at Marr Pond, in partnership with Oregon Department of Fish & Wildlife (ODFW). ODFW has plans to expand the trailhead with ADA accessible bathrooms, a large turn-around space, and more parking. The Joseph trailhead options are being explored near the grain tower. who will manage and maintain the trail? The Wallowa Union Railroad Authority (WURA), an ORS 190 entity, owns the railroad corridor. WURA manages the overall corridor and the Joseph Branch Trail Consortium (JBTC) will manage and maintain the trail for WURA, similar to the Friends of the Joseph Branch for the Eagle Cap Excursion Train. Read about the community cleanups in the corridor organized by the Joseph Branch Trail Consortium in June of 2017 & again in 2018: Volunteer Clean Up. Part of the trail construction will include culvert replacements (14 alone in the Joseph to Enterprise segment) and bridge upgrades where possible. These upgrades will help ditch water flow to neighbors and fish and other wildlife passage. How will the trail be maintained? Like many other rail with/to trails across the United States that are not owned by a state park or maintained by a county entity, this trail will be maintained by a local 501c3 non-profit volunteer group (JBTC). The JBTC is a membership based organization and will seek funds through membership and grants, as well as set up an endowment. Local partnerships have been developed as well to help maintain trailheads. The Enterprise trailhead will be a partnership with the Oregon Department of Fish and Wildlife (ODFW) at the Marr Pond Wildlife Area. ODFW already has the funds to upgrade that trailhead location. The Joseph trailhead location will be a partnership with the Joseph Branch Railriders. 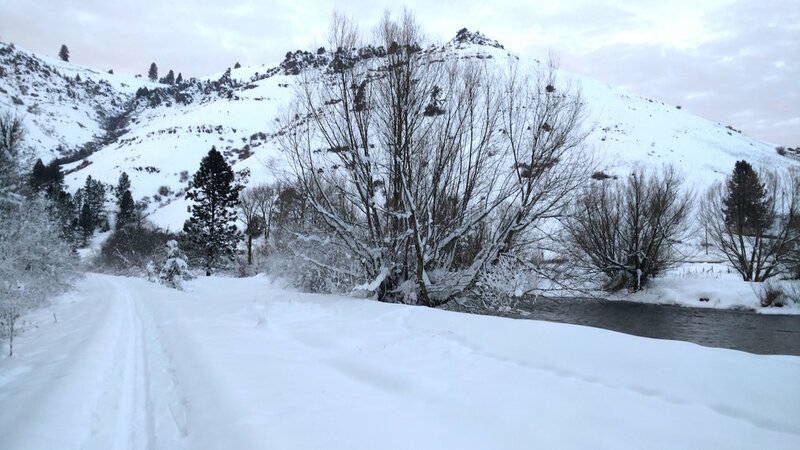 The Weiser River Trail, an 83 mile long rail to trail in Idaho in existence for 21 years, has been managed by the Friends of the Weiser River Trail and mirrors the model the JBTC will be using. See a couple questions above for specific management strategies. How long has the Joseph Branch Trail Consortium been working on this project? A trail along the tracks has been a dream of many for years. In 2013, the group that would become the Joseph Branch Trail Consortium (JBTC) started working with the Wallowa Union Railroad Authority (WURA) and Oregon State Parks to explore the development of the trail. In 2015, Eastern Oregon University and Oregon State Parks, along with WURA and JBTC, performed a Concept Study to determine if the trail was a viable option for Wallowa and Union Counties. Public surveys were taken, as well as cultural, environmental, and engineering studies. The Concept Study demonstrated public support, as well as viable engineering methods for the trail. In 2016, WURA approved the Concept Study and agreed to move ahead with the JBTC taking the lead on trail development. Currently, the JBTC is working with WURA on land use permitting. What polling data has been collected for this project? And what kind of support does it show? Three independent surveys have been performed in Wallowa and Union Counties (1 solely in Wallowa County) by Eastern Oregon University (2 polls) and the Wallowa County Chamber of Commerce (1 poll). 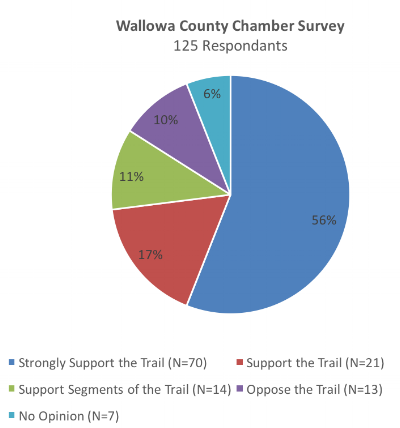 In summary, a substantial majority of respondents to three surveys directed to different groups support the development of the trail from Elgin to Joseph, or to trail segments. There appears to be a broad and consistent positive opinion regarding the proposed Joseph Branch Community Trail by the majority of respondents. Results of 1 of 3 surveys performed in Wallowa & Union Counties in Oregon to determine support for the Joseph Branch Rail with Trail.